On the one hand, the discourse around creating brand experiences to drive real emotional engagement with brands has never been stronger, and on the other, the need to demystify complexity and simplify brand interactions has reached fever pitch. So is it engagement or simplicity? Or can it be both? What is clear, is that in this stage of flux, the old measurements of brand love / brand desire / brand vibrancy as a key indicator of brand strength no longer apply. The assumption that if you elevate brand desire you change behaviour and get people to engage, or engage ongoing with your brand, aren’t holding true today. As our world has changed and brand relationships have become more promiscuous, creating desire just isn’t enough. Over the last decade there has been a huge push towards simplification as a means of driving behaviour change. Making things easier for people to do. More convenient. Less of a hassle. It’s the strategy that Tesco built their competitive advantage on. Saving people time and reducing complexity in increasingly time-starved lives. So simplicity feels like a critical must have in any brand conversation. At first glance simplicity can be confused with ease and convenience. If we make our brand as easy and convenient to use, buy, shop then we’ve ticked that box right? Well no. Clearly there is a need for both of those to be addressed. But they are not the whole answer. Today, smart brands are eliminating points of friction that cause frustration, but keeping points of engagement that build desire. They are finding the balance between simplicity and experience. It’s the reason why the Dollar Shave Club are doing so well in the US. Or why the UK equivalent, Cornerstone is seeing such success. Because they remove the frustrating, boring chore of shopping and instead deliver high quality shaving experiences, beautifully packaged, to your door. They aren’t forcing a trade-off to be made, they’re building value where it matters most. Ovo Energy are doing something similar. It won’t come as any surprise that in the Siegel + Gale Simplicity Index, large insurers and utility companies languish at the bottom of the list. But Ovo Energy are changing that. They are an 11 year old business that’s been championing making utility switching easy. 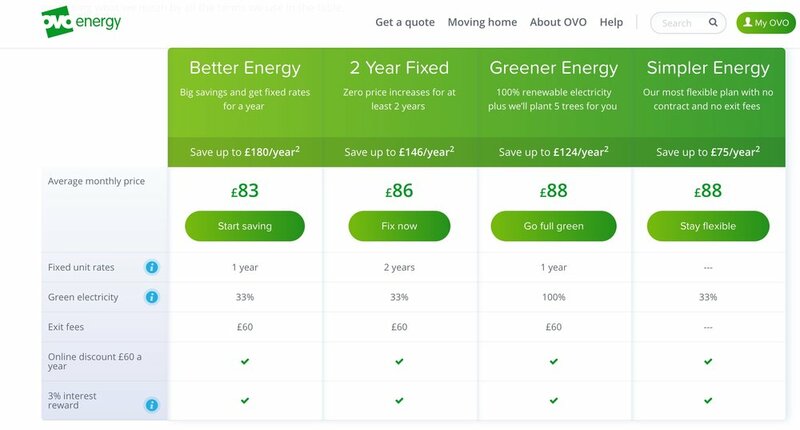 They give you 4 simple tariffs to choose from all of which offer a cost saving, and then they switch your gas / electricity supply in 3 minutes. Unheard of! But what we find really interesting is they reward people who are prepared to engage with the brand a little. So stay in credit on your account and you’ll earn rewards. They haven’t simplified their process to the point that no engagement is needed, what they have done is cut out all the classic industry points of friction and left in one point of engagement that ultimately drives the right sort of category behaviour. To us it’s a great reminder that simplicity isn’t about an obsessive focus on ease and convenience. It’s about cutting out points of friction that cause frustration, but keeping points of engagement that build the right type of relationship. Sault Kolt and Bob Knorpp look at this thinking from an advertisers perspective, but they hit the nail on the head in their 2016 article in Ad Age. This commoditised transaction is what we worry easyCoffee will run foul of. Yes everyone wants quick, good value coffee, but they also want great coffee and a genuine coffee experience too. Which is why every Costa, Nero & Starbucks is jammed with people who could zip straight out the door once their cappuccino is in hand. They don’t, because they’ve paused to soak in a key part of the brand experience. Streamlined experiences, ones that reduce unnecessary friction are clearly key and giving people simplicity is absolutely a key way of getting them to adopt a behaviour, but we also believe simplicity isn’t the only way forward. Given how promiscuous shoppers are, but also how engaged there are with meaningful brand experiences, we need to balance stripping out complexity with consciously building in points of engagement that are meaningful. It’s the reason Apple invest months in hundreds of box prototypes – because they want the box to elicit the perfect emotional response on opening. They believe their box is a key point of brand engagement and while the overall product experience is so simple as to require no manual, the opening of the box is a key moment to create brand desire. Gousto and Hello Fresh (and Craft & Crumb for the bakers amongst us) are other great examples. They deliver gorgeous fresh, organic, portioned ingredients to your door at the click of a button. But they then walk you through the process of construction. Allowing people to simplify the part of the process they get no joy from (shopping), but keep the parts that they do (creation). There is no doubt we are all busy, but it’s also clear people will invest in meaningful brand experiences. To us, the answer to the question which one is it, experience or simplicity? Is both. The pendulum has swung both ways and now seems to be settling in the middle. As marketers, our job is to find and strip out the points of friction in our brand interactions that hamper simplicity, but at the same time to consciously build in the points of engagement that drive up the right type of desire.